My stories and books would be described as literary, although that can sound pretentious. It means good old-fashioned plain writing, like the cooking in our childhood. I was in Art School, but painting was not enough for expressing all the ideas chasing round, and I had always written poems and then short stories too. A couple of discarded would-be novels date from that time and I might resurrect them now, they are almost history. There’s no routine at all. I’d say it was more to do with phases of the moon (joke.) Nothing for weeks or months and then total dedication all day. Being retired helps. My writing space is a gigantic desk set in the living room. It is the kind of desk from old black & white films, the solicitor’s office or the Head of Police. It’s strange to be sitting this side of it. I won second place in Poetry Pulse and the prize-money paid for most of it. I never call myself a writer, as it is such an easy occupation to claim. 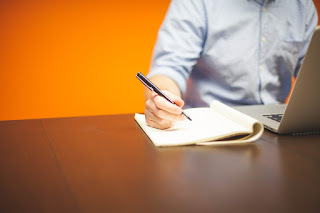 For most writers it is not a 9 to 5 five days having to clock in each weekday with only two weeks and official days off a year. Many writers I know use the label as a way to social climb and claim grants and allowances. If pushed, I’d say I was an artist. Friends and family support? Patchy. Two friends are interested and my family never comment. I am most proud of presenting situations clearly so that they can stand on their own without any need for explanations. Research is fatal! It’s like going off on a short walk and ending up miles away, happily lost. It just entices you to unearth more and more, absolutely fascinating details - and then you have totally useless pages and pages of notes and printouts. And then you don’t like to throw them away. First I write by hand on A4 pads, 160 pages, narrow lines. Then off to the computer and type, sifting through the lot. Then print off all the pages, make a pot of tea (well, several,) and with a red pencil, go through each line. I went to a grammar school and we learnt to parse, ‘Parts of Speech,’ which does not happen these days. Each word has its dedicated function. There are only eight : noun, verb, pronoun, adjective, adverb, preposition, conjunction and exclamation. There is a fashionable movement against using adverbs and I even read in one magazine’s requirements that adjectives should be as sparse as possible. That will lead to an excessively pared-down style, if we are going to be left using only six items from the ‘toolbox’ as Stephen King calls it. And we don’t often use exclamations, so that leave us with only five. My future goals are to finish the next three semi-done novels. The notes and pages cluster beside the desk in baskets and I try to avoid them. Writers who I have always admired since a teenager are: Nathaniel West - Miss Lonelyhearts, The Day of the Locust and A Cool Million. Georges Simenon – everything, there’s 53 books of his in English and French so far on the shelves here. And then I discovered Janet Frame. The Daylight and the Dust is a selection from four collections of her short stories. Her novel Angel at my Table is the best-known of her 20 works and was filmed by Jane Campion. Also from New Zealand, she is a modern Katherine Mansfield. 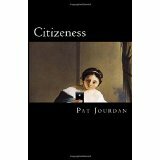 Her writing is seamless, enticing and a joy to read. 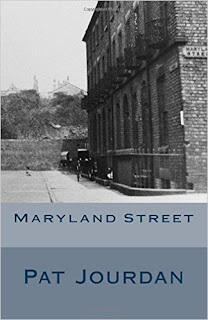 My latest work is Maryland Street, life in 1950s Liverpool, it is on Amazon with previous books.